More than 35,000 violent crimes are committed in the state of Georgia each year, and many of them leave behind victims who are seriously injured or traumatized. Victims may suffer severe and debilitating injuries, and the emotional scars of an attack can leave you struggling to maintain your job and continue with your normal life. Although the criminal justice system provides restitution, it may cover only a tiny fraction of your expenses. But all crime victims in Atlanta have the right to recover money for their injuries. You need to speak to an Atlanta crime victim lawyer. At John Foy & Associates, we have been advocating for the rights of victims for more than 20 years. We dedicate our entire law practice to helping people get the money they need to get their lives on track—and we always side with the victim. If you have been the victim of a crime, we’d like to help you too. We will meet with you for free to discuss your case and help you understand your options. Call us at 404-400-4000 and get your free consultation today. What kinds of crimes can I recover money for? Sexual assaults, including rapes and other types of assaults. Police misconduct in which police officers use excessive force. How much money can I recover in a crime victim case in Atlanta? Lost wages, if you missed time from work because of your injuries. In some cases, you may also be eligible for larger financial awards. These are typically cases where you suffered severe injuries or have ongoing pain or disabilities. We do not believe that money can ever undo the tragic effects of a crime, but it can give you the financial peace of mind you need to focus on your recovery. This is why we fight so hard to get a fair recovery for every crime victim. Can my claim help replace property that was stolen? We can help you recover the maximum amount possible. What if the person who committed the crime is in jail, or can’t be found? How can I recover money? Pursuing claims against property owners. Many violent crimes could have been prevented by the people who own the property where they occurred. For example, assaults in dark parking lots might not have happened if there was better security and better lighting. When property owners know this but don’t do anything, they may be held legally liable—and their insurance can pay for your damages. Pursuing claims against businesses that allow unsafe behavior, such as bars that continue to serve people who are overly intoxicated and at risk for becoming violent. Investigating any insurance policies, including your own, that might cover your injuries. Helping you obtain monetary benefits from the Georgia Crime Victim Compensation Program. Financial recovery for crime victims is one of the most complex areas of personal injury law, because liability can spread beyond the person who committed the crime. At John Foy & Associates, we begin every case with an investigation to uncover all the possible causes of your injuries and identify everyone who may be legally held responsible. Is there a deadline to file a crime victim case in Atlanta? Yes, there is a deadline known as the statute of limitations. 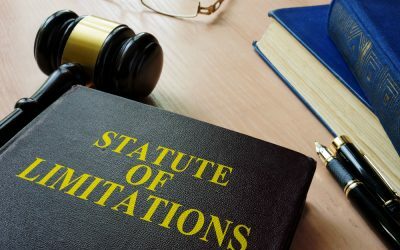 For most types of injuries, the statute of limitations is two years, but in some instances the deadline may be much sorter, sometimes only a few months. Because of this, and because crime victim cases can be complex and require additional investigation, we strongly recommend that you speak to a lawyer as soon as possible after the incident. It’s traumatic to be targeted by a crime. But you should not have to pay the financial price of someone else’s illegal actions. At John Foy & Associates, we can help you get the recovery you are entitled to, and we will never charge you a fee unless we are able to get money for you. Call us at 404-400-4000 or fill out the form to your right and get your FREE consultation today.